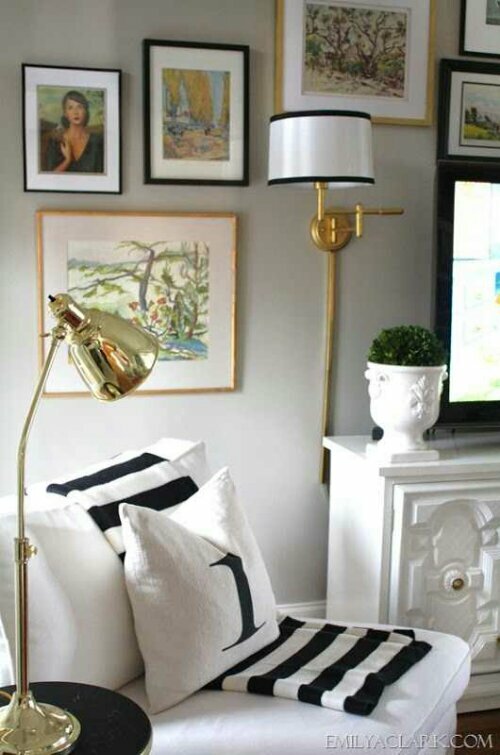 Sometimes white lampshades can be a bit boring so adding black trim is a surefire cheap way to make it look tailored and classic. 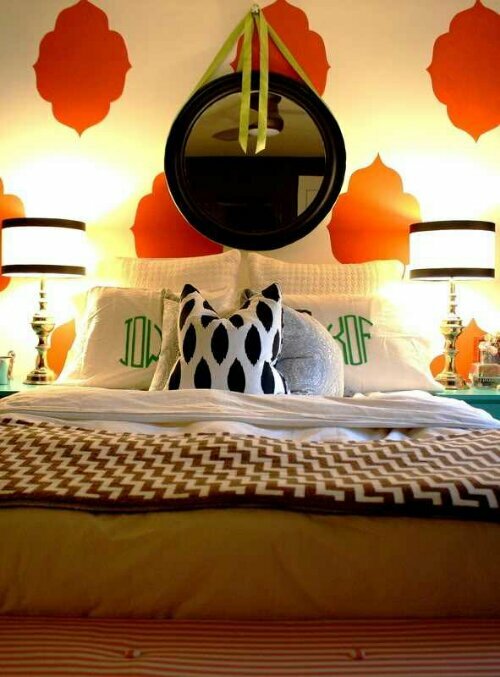 I adore this room. 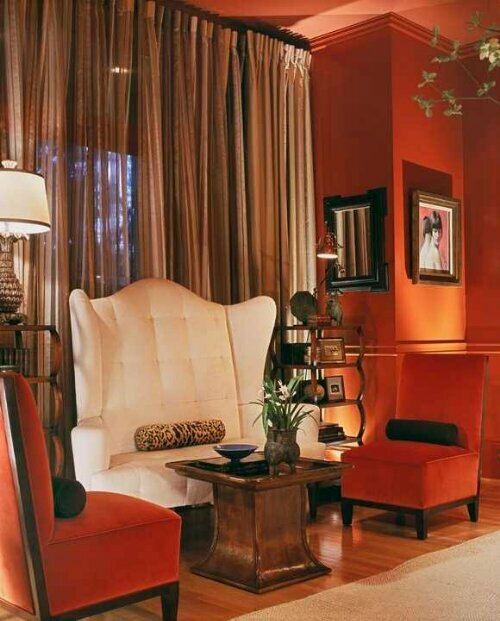 The high back wing back chair is all sorts of awesomeness and paired with armless chairs keeps it modern. The deep red walls makes this a cozy area I wouldn’t mind recreating. Next Post Buy beautiful versions of everyday things.